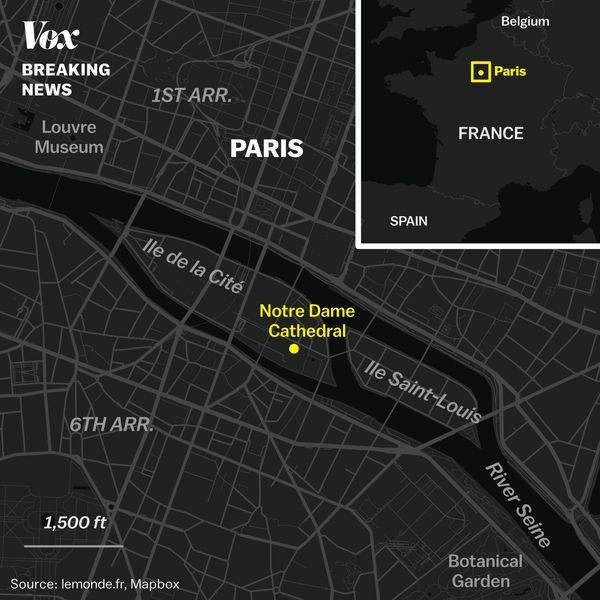 The iconic Notre Dame Cathedral in Paris, France, is burning in a massive fire that has already destroyed the monument’s spire and is threatening to consume the entire structure. The fire is still burning, and tourists were reportedly inside and had to be evacuated when the flames broke out. There have been no reports of any injuries so far, and fire crews are continuing to battle the blaze.